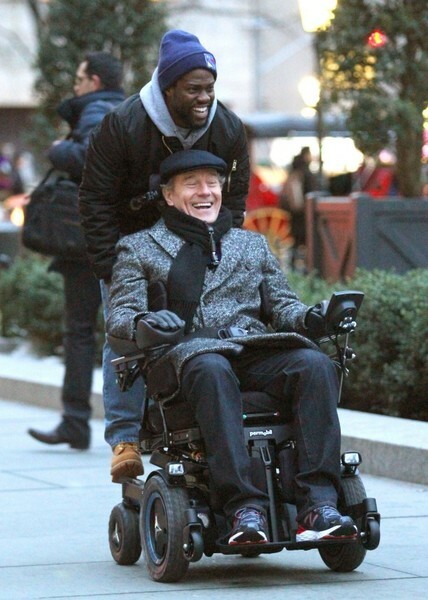 Kevin Hart-Bryan Cranston’s comedy-drama “The Upside” has launched with a moderate $1.1 million at 2,460 North American sites in Thursday night preview showings. Family adventure “A Dog’s Way Home” retrieved $535,000 for Thursday night previews starting at 5 p.m. in 2,657 locations. Entertainment Studios’ Keanu Reeves sci-fier “Replicas” opened with $200,100 at 1,630 venues on Thursday. Warner Bros.’ tentpole “Aquaman” is expected to win its fourth consecutive weekend easily over the newcomers by earning another $15 million to $20 million. The Jason Momoa starrer has dominated at multiplexes and is nearing $1 billion in worldwide grosses, topping $270 million domestically and $700 million internationally. “The Upside,” which expands to 3,080 locations Friday, debuted at 2017’s Toronto International Film Festival with the Weinstein Company on board to distribute. The project had been shelved following Harvey Weinstein’s sexual assault allegations. STX bought the rights last August and is partnered with Lantern to distribute worldwide. Reviews have been most unenthusiastic with a 36% “rotten” rating on Rotten Tomatoes. “A Dog’s Way Home,” which widens to 3,090 theaters Friday, stars a brown rescue dog named Shelby (voiced by Bryce Dallas Howard) who travels 400 miles to re-connect with her owner after getting separated. Ashley Judd and Edward James Olmos star in the PG adventure, based on a book by W. Bruce Cameron. Critics have supported “A Dog’s Way Home” with a 69% “fresh” rating on Rotten Tomatoes. “Replicas,” a thriller about a neuroscientist who tampers with law and science to bring back his family members after they die in a car crash, is projected to bring in $4 million to $7 million when it launches on 2,327 screens. Reviews have been dismal with a current 9% score on Rotten Tomatoes. The domestic box office for 2019 has hit $290 million in its first nine days, according to Comscore, leaving it nearly 15% behind last year’s at the same point. Paul Dergarabedian, senior media analyst with the box office tracker, is unconcerned.